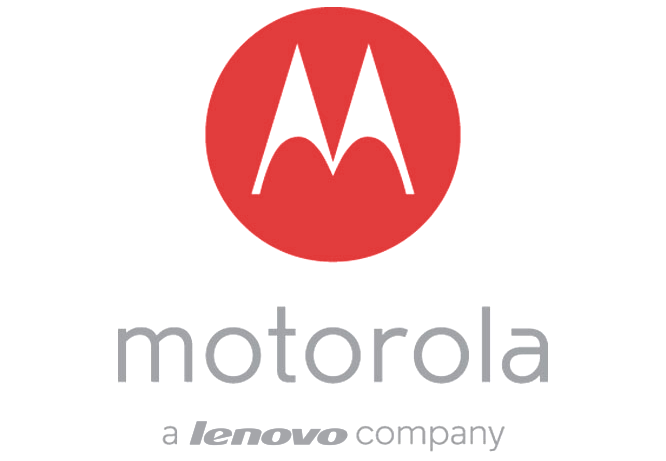 Lenovo-owned Motorola is scheduled to announce the new Moto G5 and G5 Plus at an MWC 2017 event in Barcelona. But, before that happens, a new set of leaks has appeared showcasing the unannounced phones in full glory. 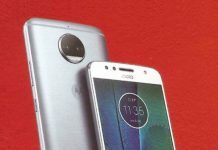 Courtesy of a Spanish online retailer, users have been treated with the official press renders of the new variants of the G-Series by Motorola. Even though the listing has been pulled down, we managed to save the images and gather specifications of both the smartphones. First up, is the bigger variant of the two, the Moto G5 Plus. The smartphone features a 5.2-Inch Full HD display powered by Qualcomm Snapdragon 625 Chip and 2 Gigs of RAM. 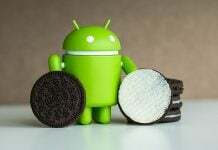 Internal storage for the device stands at 64 Gigs with expandable capabilities via micro-SD card. It’s a dual-sim handset with Android 7.0 Nougat on board powered by a 3000 mAh battery (Turbopower charging supported). Camera wise the Moto G5 Plus sports a 12 MP rear and 5 MP front snappers. There is NFC, a water-repellent coating with a fingerprint sensor on the front. It measures 150.2 x 74 x 7.9mm and weighs 155g. 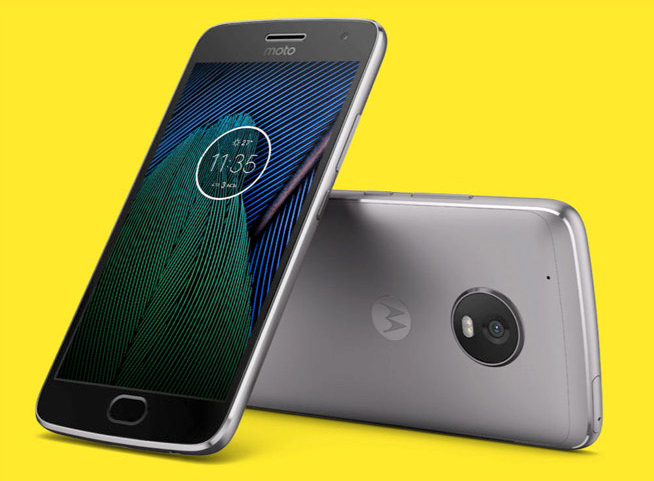 Coming to the shorter sibling, the Moto G5 sports a 5-Inch Full HD display powered by a Qualcomm Snapdragon 430 chip and 2 Gigs of RAM. 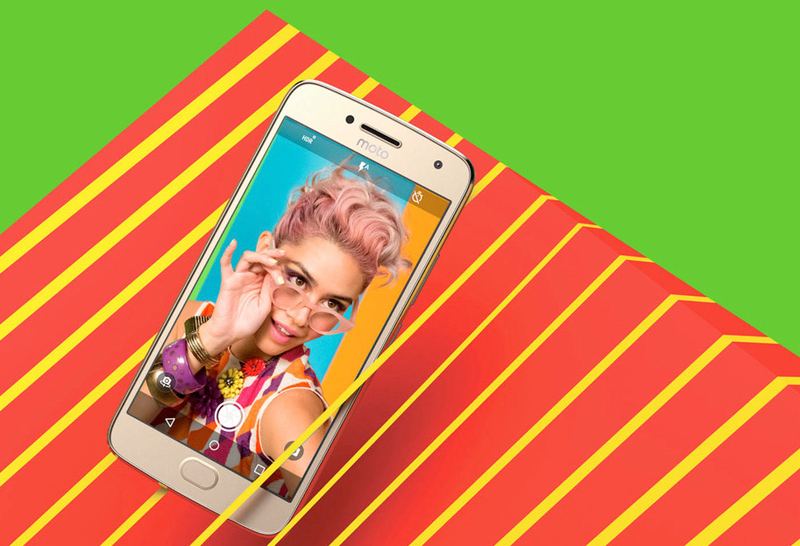 Internal storage of the Moto G5 stands at 32 GB with micro-SD support. There is no NFC on this variant, but users do get fingerprint scanner, which otherwise was missing in the last year G4 model. The handset features 13 MP rear and 5 MP front camera units. All this is powered by 2800 mAh battery with 10W rapid charging. Moto G5 stands firm at 144.3 x 73 x 9.5mm weighing 145g. 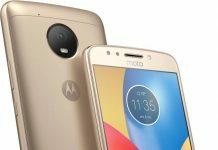 As you notice in the images above, the Moto G5 Plus has a camera hump opposed to the Moto G5 variant. 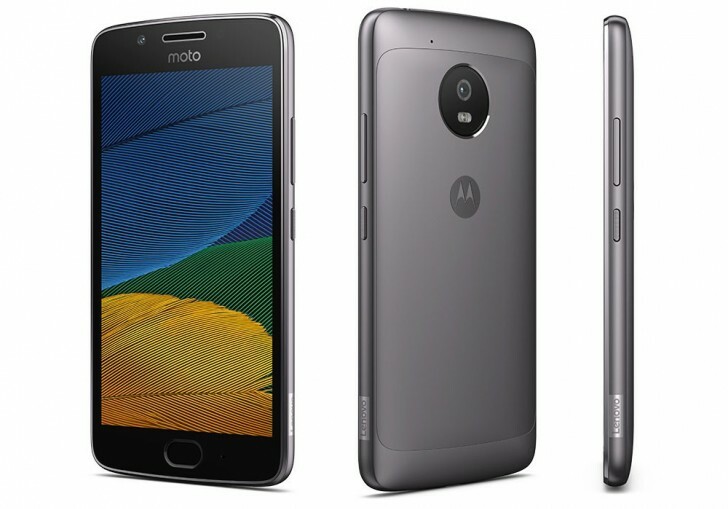 Both Moto G5 and G5 Plus smartphone come with an aluminum design and Lenovo logo on the side. 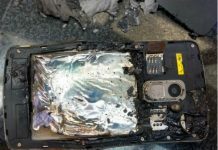 Next articleGalaxy S7, S7 Edge Nougat Update Impacts Performance; Should You Install It?